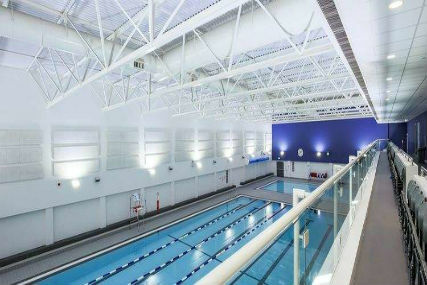 Moss Side Leisure Centre is a state-of-the-art facility housing a 120-station gym, two new swimming pools including a 6 lane, 25m pool and teaching pool, health suite, sports hall and fitness studio. The project cost in the region of £8 million pounds and took a year to complete. Main contractors ISG were appointed by Manchester City council awarded through the North West Construction Hub (NWCH) Framework. Spectile were pleased to once again work with and alongside GT3 architects on this fabulous project.